Laurence A. 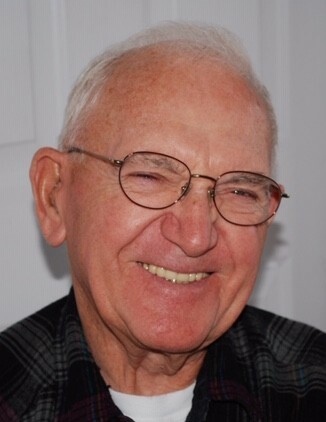 “Larry” Remick passed away peacefully in his sleep at the Penacook Place Nursing Home in Haverhill, MA on Tuesday, March 12, 2019. Larry was 95 years-old, a life-long resident of Methuen, attended the Methuen schools, and served in the U.S. Army in World War II. During his service in The US Army, Larry participated in the American liberation of Pilsen,Czech Republic freeing the city from German occupation. Meeting his wife on a blind date shortly after the war ended, it was a match made in Heaven. They were together for 69 years until Rebecca’s death on October 4, 2016, at Penacook Place. He is also predeceased by an older brother, James Brown, and an older sister and brother-in-law, Eunice and Morris Campbell. Upon returning from service in the U.S. Army and World War II, Larry was employed at the gas company in Lawrence, MA and later at the electric company as a cable splicer, retiring thirty-five years later from Massachusetts Electric as a managing supervisor of their underground department. Of Scottish heritage, he was an active member and lead drummer of the Clan Macpherson Bagpipe Band in the Merrimack Valley for over thirty years. An avid salt-water fisherman, he enjoyed many summers with his family fishing at the Nubble Lighthouse in York, Maine. In retirement, he pursued an interest in painting and continued to win awards for many of his oil paintings on easel, wall murals and saws, which he exhibited and sold through the former Jackson’s restaurant in Methuen, MA. Among other hobbies were antique clock repair and golf. Larry spent many happy times traveling to Terre Haute, Indiana, to spend vacations in the Midwest with Rebecca’s family. After retirement, he and Rebecca traveled to Scotland and Italy, returning to Germany where he visited with his son and family, retracing steps during World War II. Dedicated members of the First Church Congregational in Methuen, Larry and Rebecca served as Senior Deacons. Both could be found in the church’s kitchen during special events preparing dinners for the church family and the community. The family is very appreciative of the compassion and loving care their Dad received while at Penacook Place and from the Merrimack Valley Hospice. Family and friends are invited to an hour of visitation on Thursday April 25, 2019 from 10am to 11am at the Dewhirst & Boles Funeral Home, 80 Broadway, Methuen. A memorial service will follow the visitation at 11:00am on Thursday at the funeral home. A private interment service for both Larry and Rebecca will be held at the First Church Congregational Memorial Garden on April 26. To leave an online condolence and a memory for the family, please visit Larry’s tribute page at www.dewhirstbolesfuneral.com. There's still time to send flowers to the Visitation at the Dewhirst & Boles Funeral Home from 10:00 AM to 11:00 AM on April 25, 2019.